This company has also just introduced the world's first connected pet bed, which maintains a comfortable temperature for your dog and also reports on body temperature, heart rate, and other data. Ever heard of ThunderShirt? 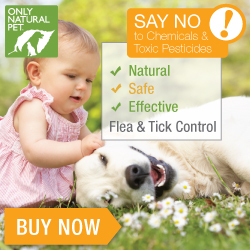 It is a product made by a Durham, North Carolina company, ThunderWorks, that is proven to reduce anxiety in many dogs. Now ThunderWorks has introduced a product line that naturally relieves anxiety in dogs and cats called ThunderEase. According to the company, ThunderEase replicates feline and canine pheromones — naturally providing a sense of comfort and security during a wide variety of stressful occasions and situations. Like ThunderWorks’ other products, ThunderEase is a drug-free and veterinary recommended solution. The pheromones are effective in treating uneasiness in a new home or environment, fear of loud noises like thunder or fireworks, urine spraying and scratching, stressed caused by change, multiple cat tension, anxiety when visiting a veterinarian office or while boarding, and much more. The ThunderEase diffuser kits, refills and sprays are now available for dogs, online at thunderease.com and will soon be available at pet retailers across the country. ThunderEase Collars for dogs will be available this fall. A new product, "Canine Calm Aromatherapy Wipes," is designed to calm pets during storms, fireworks, boarding, grooming, clinic visits, and other unsettling times. While aromatherapy is commonly used in sprays and diffusers, the development of therapeutic aromatherapy in convenient, travel-friendly wipes creates a new product category for the industry. The Canine Calm wipes are made with pure essential oils to create a serene experience and come in a re-sealable package. A dog’s sense of smell is far more advanced than humans’, and their olfactory memory is remarkable since their world revolves around scents. Dogs can associate scents with calming persons and environments, which is why the use of essential oils and aromatherapy is effective when calming canines in stressful situations. Canine Calm Aromatherapy Wipes contain the same high-quality, pure essential oils as other Earth Heart Inc. products. 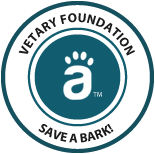 The company’s reputation has been built with safety in mind and all of its products, including Canine Calm Aromatherapy Wipes, have been formulated for use as often as needed. Visits to veterinary emergency clinics tend to increase during the holidays. Many pet parents are well aware of the numerous hazards to their pets during this time of year. Some even prepare emergency kits to make sure they will be covered, should an incident occur. But the makers of VitusVet – the mobile app that allows users to view their pets’ complete medical records at any time – warns pet owners could be missing one of the most vital elements needed during a health crisis. How will you access your pets’ updated medical records and how difficult will they be to obtain during a holiday-related emergency, when most offices are closed for extended periods of time? The free VitusVet app is currently the only method that allows veterinary offices to share their patients’ entire medical record history with their valuable clients when they need it the most – during an emergency. It is also the only app of its kind that includes a pet owner-facing solution, which also allows the user to invite friends and family to view their pet’s history and offers a search option to find the closest veterinary emergency clinic – both crucial during the holidays when college students may be home from school or people will be traveling with their pets. The smart folks at Neato Robot Vacuums have created a very useful infographic that tells you how to remove pet hair from just about anything. You'll learn how to remove pet hair from clothing, upholstered furniture, non-upholstered furniture, car interiors, hardwood, and carpets. There are also tips on how to remove pet hair from your dog! Microchips and ID tags are the best way to prevent your dog from getting lost. If you do lose your dog, follow these helpful tips provided by the ASPCA. Be sure to report your missing pet to your local animal shelter as well. The ASPCA's mobile app offers you the ability to receive a personalized missing pet recovery kit, including step-by-step instructions on how to search for a lost animal in a variety of circumstances. You can also build a lost pet digital flyer that can be shared instantly on your social media channels. The app covers additional emergency situations. Finding Rover uses facial recognition technology to scan your dog's face and keep the information on file. If your dog is lost, Finding Rover notifies a large network of organizations and members who snap a photo using the app to see if there's a match. Think of iPet Alert as an Amber Alert for dogs. With iPet Alert, you can instantly alert others when your dog goes missing. A message is sent to local area vets and iPet Alert members to be on the lookout for your missing pet. With the PetRescuers app by HomeAgain, you can help keep a lookout for lost pets in your area and recently found ones who have been reunited with their families. You can further expand your search beyond posting signs in your neighborhood by sharing lost pet alerts via Facebook, Twitter and email with ease. As a PetRescuer you will have access to articles and resources as well. Pedigree Found is a real-time app currently available in New Zealand, but its availability may be expanded. You take a picture of your dog and then, if your dog goes missing, you use Pedigree Found to send out a free alert to Found members and people in your area using Google's ad network. Tagg is not just an app, it integrates with a GPS pet tracker that attaches to your dog's collar so you can keep track of your dog. Tagg allows you to define your dog's home base and tells you if your dog wanders off, and it can pinpoint a dog's location anywhere in the U.S.
You have probably heard that 2015 promises to be the year of tech "wearables." Now a Boulder, Colorado company, WUF (pronounced "Woof," of course), is introducing a "doggie wearable." It is a versatile device that can be used for training, activity tracking, games, GPS, and more. Perhaps the most unique thing about the WUF collar, though, is the built-in two-way audio, so you can actually talk to your dog remotely and hear him or her as well! A mike and speaker are embedded in the collar and controlled using a smartphone app. The collar is waterproof and can withstand the wear and tear associated with your doggie's rugged off-leash adventures. The company is in the launch stage and collars can be pre-ordered for $129 (the regular price will be $149). You can learn more about WUF at the company's website: www.getwuf.com . PetChatz says it is "a new way to connect and interact with your pet" when you're at work, on vacation, and just want to check in. This remarkable device allows your pet to see you, hear you, receive treats, and gain access to scents. The PetChatz unit mounts over any electric outlet and connects to any Wi-Fi network. It can be operated via an app. With PetChatz, you can "call" your pet, speak, transmit video, and dispense treats and scents. Yes, Fido, Big Brother is watching you! More information at: www.petchatz.com. How does one know which are the best places to take their dog and which will make them leave Fido out in the cold? Dog Land is a new free iPhone app for dogs and the people who love them. Dog Land, created by BetterPet, Inc. allows users to share photos, as well as find and vote on dog-friendly locations in their area. Users can “mark their territory” at places in categories such as dog parks and hotels, as well as “dig” content that they like. The team at BetterPet says they hope “Doglandians” (the term they use for those who use Dog Land) will find that the app not only strengthens the bond between themselves and their dogs, but also helps connect the passionate community of dog lovers both locally and globally. For more information about Dog Land, please visit www.doglandapp.com. Dog owners are always looking for all natural, made in the U.S.A. healthy snacks to use as treats for their pups. Here's a great product that fits the bill: Hill's Science Diet Fruity Snacks. Created by Hill's, the leading maker of high quality dog food, Fruity Snacks are naturally preserved, with no corn, artificial colors or flavors. Fruity Snacks are available in two flavors: Apples & Oatmeal and Cranberries & Oatmeal. Both flavors offer natural sources of vitamins, minerals, and phytonutrients. The snacks are just the right size for medium and large dogs. Chester, the Carolina Mountain Dog mascot, thinks the Apples & Oatmeal snacks are just yummy! You can get Hill's Science Diet Fruity Snacks from Chewy.com, on sale now for $4.79 per bag. 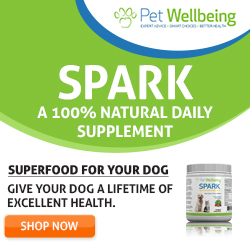 Chewy.com is an online store for pet lovers with over 200 brands of dog food, treats and other great stuff. Everything you purchase from Chewy.com is conveniently delivered to your door, with 1 or 2 day delivery, and free shipping on orders of $49 or more. Chewy.com offers a 100% Satisfaction Guarantee, and Chewy.com's customer service is open 24/7 and aims to please.